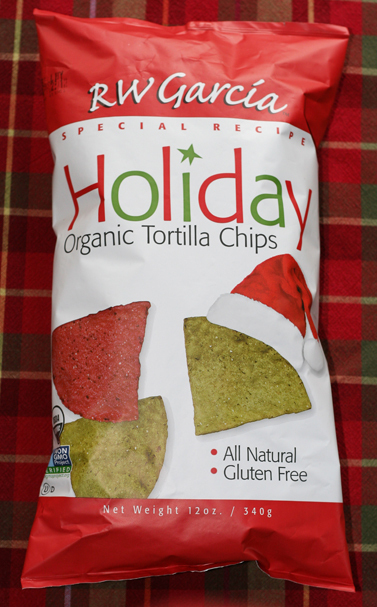 I first became a fan of RW Garcia when I spotted their red & green holiday chips in Wegmans a few years ago. They looked too good to pass up, so I brought them home and the entire bag disappeared quite quickly. Since they’re only available around the holidays, each year we stock up and enjoy a good 5+ bags of them, between eating them at home and bringing them (along with dips) to parties for festive and gourmet-tasting dipping chips. 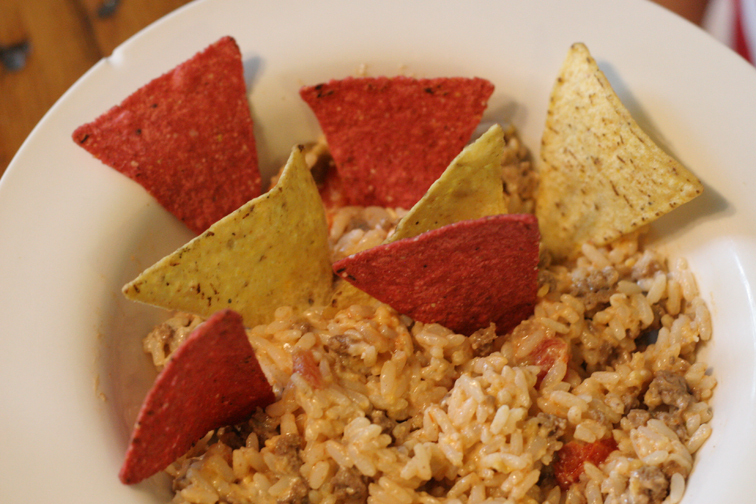 Basically this recipe is Mexican ingredients all mixed up together and eaten with tortilla chips. There’s no right amount to put in of anything—just keep adding stuff and mixing til it tastes right. Reheats well too. Mix together all ingredients and heat up in microwave. Put into individual bowls and scoop up the mixture with GF tortilla chips. Preheat oven to 350. Mix all ingredients and spoon into 9″ pie plate. Bake at 350 degrees for 25 minutes or until lightly browned. Garnish with chopped tomato and green onions if desired. 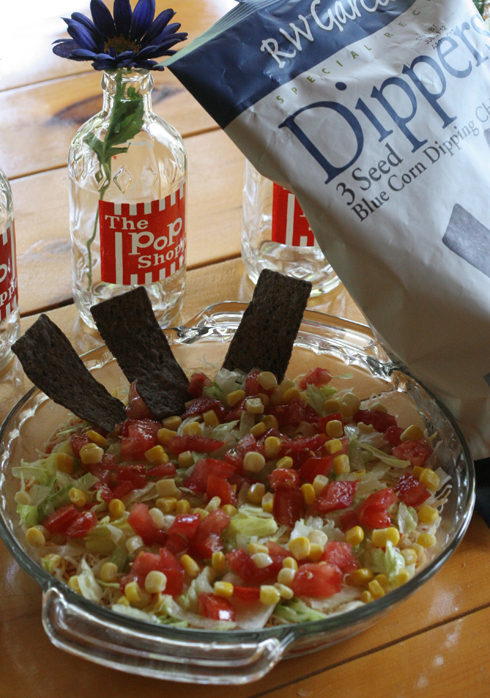 Serve with GF tortilla chips. • 1 pkg cream cheeze, 8 oz. Soften cream cheese and mix together with sour cream. Spread mixture onto bottom of 13×9 pan. Top with other ingredients working in layers. Serve w/ tortilla chips. If you want a thinner cream cheese/sour cream layer, just split it between a 13x9pan and a 9″ pie plate and top both dips separately. You can find these and more of our favorite family recipes at this link where you can download a free, printable-by-page PDF. To enter, please leave a comment below, letting me know which of our favorite recipes you will be trying if you are the winner of these fabulous chips (or link to your favorite online recipe). Please include your answer in your comment in order to be entered…I won’t count entries that show this post wasn’t read completely. 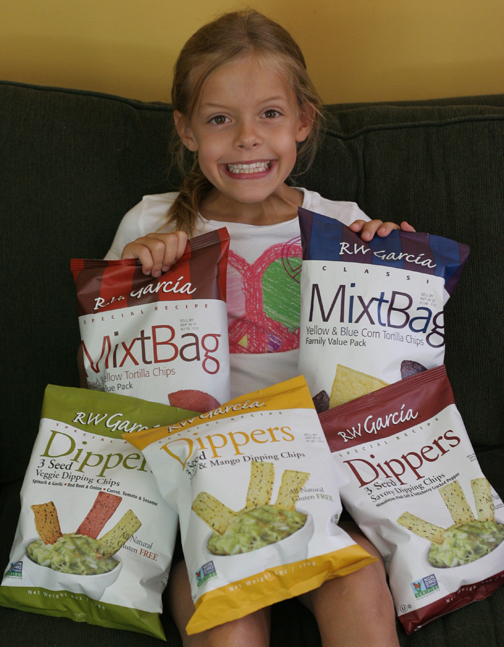 Disclaimer: RW Garcia sent me a box of bags of chips to try for this review. Half of the bags in that box were set aside by me for this giveaway. In return I only promised an honest review and was not compensated in any other way. Opinions are my daughters’ and my own. This entry was posted in g-free recipes, giveaways, kids in the kitchen, recipes, reviews and tagged giveaway, gluten-free kid, holiday, recipes, review by kachalmers2. Bookmark the permalink. If we win the chips we will try making your Mexican Bowls, either the Beef or Chicken. Sounds yummy! I’ve never tried this brand. Thank you for the giveaway – and your daughter is adorable! I have never seen these chips and would love to try them. 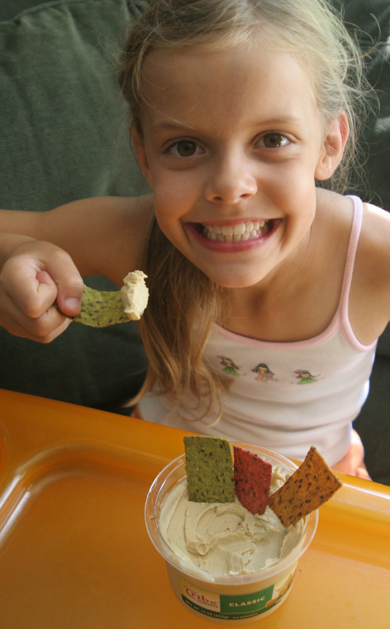 My children would love the Mexican bowls and your dips look divine. As an Italian, I grew up eating artichokes. And my sister and I always joke, “everything’s betta, with feta”. Silly right!? Obviously, I’d try the artichoke feta dip, hands down!!! I would be trying any of the chips that are milk and nut free. Can’t seem to figure that out on their website though. 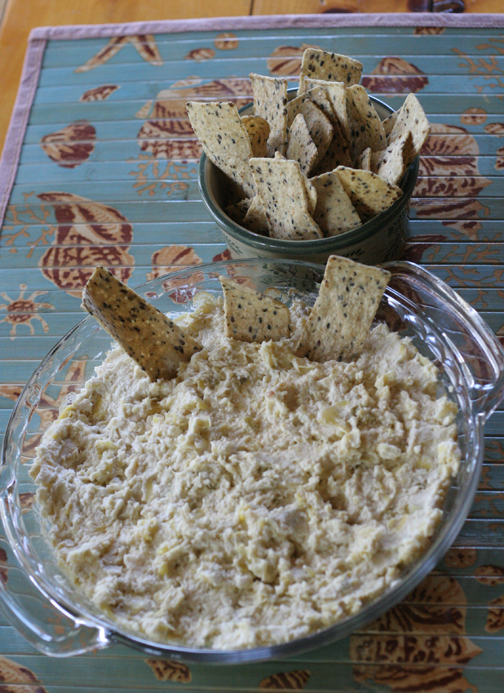 I’d love some feta-artichoke dip or aunt barbs taco dip to go with them! I’d love to try some with the Taco Dip. It sounds yummy. Thanks! Would love these for my kids to scoop bean bowl I ingredients with! I really want to try and make the Mexican bowl and add chicken to it, all three of my kids will like it. I already make a similar bean bowl but always like to try new chips. I’ve never seen this brand but would like to try it. Your dips all have dairy so it looks like the bean bowl might be easiest to convert to dairy free.